Lower: The 7075-T6 forged lower receiver is hard coat anodized, and accepts standard AR-15 fire control groups. The extended magazine release is outside of the trigger guard for safety, which allows for an AK-style release movement but also features oversize side paddles for fingertip release by the trigger finger. The KS-47 G2 receiver also accepts standard AR buffer tubes. The KS-47 G2 lower has steel reinforcements to accept AK style surplus magazines including drum-style. This Gen2 design features a PA-10 carbine buffer spring and heavy H1 buffer to ensure reliable operation with a wide variety of aftermarket and surplus magazines. Through extensive testing, we have determined that we can only guarantee the reliability of the KS47 G2 platform with the PA10 carbine buffer spring and heavy H1 buffer. The KS-47 G2 Lower will accept most aftermarket fire control groups (Geissele, etc.). However, due to the magazine catch geometry, one-piece drop in triggers such as CMC style triggers will not function in KS-47 G2. Upper: The KS-47 G2 upper receiver is precision machined out of forged 7075 T6 aluminum, and then hard coat anodized for durability. While retaining the look of a standard M4 upper, the KS-47 G2 upper is designed to work with the new Gen2 KS-47 lower. The upper features integrated over-insertion tabs to prevent the bolt from dragging on the magazine. This CMV 4150 barrel is chambered in 7.62x39 with a 1 in 10 twist and has a single, large feed ramp to accommodate the larger case diameter of the 7.62x39 round. The barrel is nitride treated for accuracy and durability, and is finished off with a 5/8-24 thread A2-style compensator. The forward assist, dust cover, charging handle, and safety are all standard AR-15. This KS-47 G2 upper is finished off with a PSA 13.5" Lightweight M-Lok Free Float Rail. The KS-47 G2 upper will not work with a standard AR-15 lower. So those of us with the unreliable feeding of the gen1 version are sol?? BEST ANSWER: Buy the Gen2 bolt carrier. I would love to buy a Gen2 bolt carrier if they ever decide to offer them. BEST ANSWER: Heavier than an AK. Same as a standard AR15 for weight/length. Will there be an option for mid-length gas tube? BEST ANSWER: This is a mid-length carbine setup. So your wish is granted. description says Carbine gas, not mid-length. I’m waiting for the complete upper and big for the last-47. When will that be available?? BEST ANSWER: I could check my Magic 8 Ball but you would probably have a better chance of getting an answer by emailing PSA. Brandon, the Gen2 upper and BCG will work on the Gen1 lower if that is your question. I have both complete rifles and they are interchangeable. When will the Gen 2 lowers become available? BEST ANSWER: See the answer above. If you want to maybe get an answer to a question like that, use "Contact Us" link at the bottom of the page. My bet is that you still won't get an answer. No weight is listed. How does the felt recoil compare to a conventional AK (e.g. WASR)? BEST ANSWER: You definitely need a pad on it. Under 6lbs. If you are using a proper shoulder pocket it’s really comparable to a 5.56 heavy load. Easily managed by all but new shooters. BEST ANSWER: SEE PREVIOUS QUESTION. Will it work with steel cased ammo? What is the definition of "KS" ? Estimation when will the KS-47 be back in stock? Does it use a standard AR charging handle? BEST ANSWER: Yep. I put a raptor in mine. How long has the rifle been on the market? BEST ANSWER: The gen 2 came out today. I had a gen 1 previously and it had a few issues. All of the issues I had have been addressed and solved with the updates of the gen 2. I ordered the pistol version today and can’t wait to get it. The ks-47 upper will not work with a standard ar-15 lower but the lower will accept other ar lowers? BEST ANSWER: Dude, please re-read your question. However here is the answer: The KS lowers and uppers WILL NOT work with other brands of uppers/lowers. These "Hybrid M-4" platforms are "PROPRIETARY" in design meaning you CANNOT mix and match with other brands. The KS upper won't run with an AR magazine and an AR upper won't accept an AK magazine. No matter how you ask the question, the answer is the same! Thanks for your answer. I meant "the lower will accept other ar uppers?". I didn't catch my wording until after I submitted the question. when will this be back in stock 1/14 has come and gone.....? Since I live in CA, I would love to buy this rifle, but can this rifle install a kit called FREEDOM BUTTON KIT? which will release the upper & the lower receiver to release the magazine. BEST ANSWER: Dude, you need to leave Kommiefornica. Does the Gen 2 KS-47 bolt use an extractor made specifically for the 7.62x39? Can those extractors be purchased separately to have on hand for spares for the KS-47? Will military surplus ammo work fine or do I need to stick with cleaner brass-cased ammo? BEST ANSWER: Any will work, but I prefer the Yugoslavian brass cased milsurp. 2 questions 1 I always go with after market charging handle mostly radian raptor can I use a standard 5.56 charging handle or do i have to get a ar10 charging handle and 2, do I have to put an after market ak trigger or would a normal 5.56 trigger group work? BEST ANSWER: This is an M-4 platform so 1) YES and 2) YES . This platform takes AR-15 associated parts for the upper and lower. The ONLY difference in this UPPER is that it is milled for and will accept the AK magazine. There is a wealth of info contained in the reviews and in the questions and answers. Most of my AK mags have the bolt hold open followers installed in them... Does anyone know if these will function with this rifle? BEST ANSWER: They should, there is NO bolt hold open feature on the KS-47 lower. Would a binary trigger work in this? BEST ANSWER: Any trigger will work as long as it is NOT a "drop in" trigger. When will the KS-47 carbines come back in stock? On my comment below, the bolt appears to not go back far enough to get the next round.? Can I convert this into a piston gun? BEST ANSWER: Yes, you can. BEST ANSWER: As long as the barrel and BCG are for the M-4 platform, it should work. However you might need to match a different buffer spring to the AK-74 cartridge. No. PSA NEVER does changes like that. Do y'all consider this gun as reliable as an AK? While it may not be exactly comparable I feel it is a fine piece of hardware that will last my lifetime if maintained. So you can use standard ar trigger groups in this? BEST ANSWER: From the description: The KS-47 G2 Lower will accept most aftermarket fire control groups (Geissele, etc.). However, due to the magazine catch geometry, one-piece drop in triggers such as CMC style triggers will not function in KS-47 G2. So good I had to order the KS47 pistol upper and lower! Currently my favorite PSA system. Has been nothing but reliable with even Romanian drum mag. Korean, magpul, East German, all working flawless. AR15 accuracy with AK47 power makes the KS47 the gun of the year in my opinion with a working mans price! The gen 2 has addressed the issues from the previous. I’ve run 400 rounds with zero malfunctions. Shoots with good accuracy out of the box. I’ve run wolf military classic and it’s been smooth. Really is a great gun and will not have the issues from gen 1. I am very happy with this gun purchase. AR15 accuracy with AK47 knock down power. It will not have issues like the mutant and it’s almost half the price. Nuff said. This is one of palmettos finest releases! Got this rifle after years of looking for a better way to scope my two awesome shooting Norinco Mak90’s. I think this rifle beats the Ak hands down unless you plan on throwing handfuls of sand in the action or never cleaning your rifle. Fit and finish are awesome, well build rifle and just a hundred dollars more than an AK. 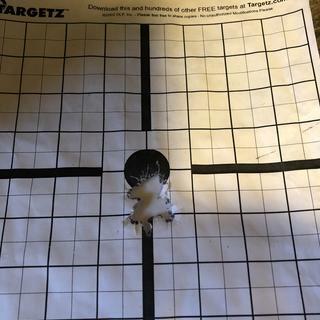 I am no expert shot but it’s easy to one hole a target with 20rds. I was surprised to see the rifle shipped with a Magpul upgraded M3 mag, not a MOE mag. The only issue in 125rds I have had is the handguard came loose, not sure locktight was used on this part and think I have read somewhere that this has happened. No failures of any kind at this point and yes this would be a great GTW weapon. Thanks for a great review by Nutnfancy which led me to make the purchase and to PSA for a great rifle. My friends are thinking of purchasing now. PSA gives you .30cal firepower in a sturdy lightweight package impossible to not love. I bought this firearm (my first PSA) due to some excellent word of mouth going around the Internet. Originally I had planned on getting the pistol variant but found my state doesn’t allow pistol shipments (sure whatever). 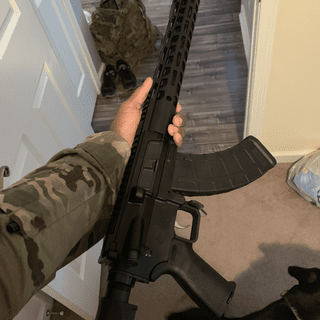 I had to speak to PSA Customer Service and they were a delight to work with, getting me a code so I may buy the carbine length rifle in barely a day. This is a truly brilliant design. 7.62x39 is perhaps my favorite caliber and having it in a sub 6lbs rifle with all the AR15 ease of use has me giddy. The firearm is balanced, and sturdy (only wiggle I could find was in the stock and even that was minimal). The mag release lever is a real treat, just big enough that you can use an extended trigger finger release a mag quickly. The Magpul furniture is of course good quality, and worth the price. The barrel is heavy, which excites me greatly, as many manufacturers will skimp on barrel thickness for weight and cost. Perhaps the only minor gripe is the charging handle was in no way greased on arrival and was incredibly stiff until lubed and used several times. All and all I am incredibly impressed and it has made me a lifelong PSA customer. I haven’t had the opportunity to shoot it yet due to the weather. But my friends are all buying one now too after I pulled it out of the box. Very happy PSA KS-47 owner!!! I purchased the basic gen 2 lower and the MOE gen 2 uppers separately. The fitment between the upper and lower is perfect. After 200 +/- rounds, no malfunctions of any kind, ammo was a mix of everything, steel and brass. Accuracy is very impressive!!! I really like my Mini 30, but this rifle will out shoot it by a large margin with all ammo, not even in the same league. Most impressive is the Monarch ammo from Academy Sports, about 2" (some under, some over) at 100 yards, $5.99 a box. BTW, Hornady Black will shoot around 1" at 100 yards but is expensive for plinking. Magpul 10 round magazines (the only mags I have) are a little hard to lock in and I have to pull the mag release lever to the rear for them to lock properly. They are tight but are getting better with use and I don't have a problem with it but thought I should mention it. Long term reliability will still have to be tested, but right now, I think this is an incredible rifle. Not an incredible rifle "for the money" just an incredible rifle! I didn't know much about PSA but Nut N Fancy gave this rifle a glowing review! I usually only buy great quality firearms Sig, HK, Walther, and Dan Wesson. This was like jumping into the unknown for me but I'm glad I did. So far it has been flawless and very very accurate. My only criticism was that there were some tooling marks on the lower which should have been caught by QC. I just picked up my KS47 from local FFL - I've yet to fire it. The rifle looks good with one exception - the pistol grip was so loose I almost pulled it off the rifle. There was at least a 3/16" gap between the grip and the lower receiver - so much that I was concerned about damage to the safety detent spring. My FFL and I both tried to tighten the grip without success. After completely removing the grip, a bunch of aluminum shavings came out of the lower reciever. Now the grip fits fine. For the life of me, I cannot see how this could have passed any form of quality control before leaving assembly. Anyone who simply held the rifle should have felt the loose grip. Now I will have to completely disassemble and examine the rifle before I trust it to function properly. Last - Claiming that the rifle ships with a Magpul magazine "where allowed by law" is disingenuous. You removed the magazine from my rifle before shipping to a state that allows 30 round rifle magazines (Hawaii). I understand your desire to avoid costly litigation with liberal gun laws, but you are imposing restrictions on your customers over those already restrictive laws. We do apologize for that. Since all of our parts and firearms are covered by our Unlimited Lifetime Warranty, if you have any issues arise from the craftsmanship of the product, we can either have select parts sent to you for you to replace, or we can have the item brought in, at no cost to you, so we can repair or replace the defective product. Please contact Customer Service so we may resolve this issue. Took one look at my new KS-47 Gen 2 at my FFL and fell in love. Fit and finish of the rifle is absolutely superb! The rifle is a monument to PSA manufacturing. At the range, had no malfunctions and accuracy was superb. Shot Wolf MC (my standard) and even some cheap Tulammo. Even Tulammo accuracy was great. This is just an outstanding firearm. I am such a fan now, I will probably be buying the pistol version in the very near future. Keep up the great work PSA!!! I have both a Gen1 and a Gen2. The guns are both fantastic, but I put a HIPERFIRE Enhanced Duty Trigger, bought from PSA in both. The trigger come with a choice of springs(4.5 lb and 5.5 lb).I chose the 4.5 for both. You CAN NOT put a drop-in trigger in these lowers, so be prepared to buy another set up. In my humble opinion, the Gen1 runs a little better than the Gen2, but right now they are both in the first stages if being broken in. I only use the Magpul plastic AK mags, and my ammo choice is Yugoslavian milsurp brass cased.THe ammo is listed as corrosive, but to me it ain;t that dirty. I run it in my PSA AK and in both the KS-47s I have. Enjoy! these are great guns! I picked this gun up on sale when it first went on sale. Couldn’t be happier with this gun! I have ran steel and brass ammo without any problems, 300 rds. Accuracy is good on this gun, better than a AK. Buy one if you are thinking about it. 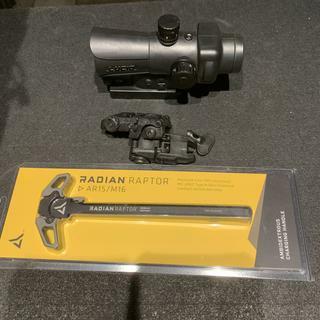 My only advice is to get a ambi charging handle like, a Radian Raptor and put it in. I was shopping for an AR platform that ran 7.62x39 as I have a ton of it for my AK, and a bunch of AK mags. Mostly due to the fact attaching red dot or optics on a standard AK with standard tolerances does always works so well from my experience. Palmetto made the mark with the KS47 to get my money. Finish was good, not marks, dings and such but I’ll likely add my own with time. Fit is very tight between the lower and upper. Take down pins were tight, needing a punch to pop them. The charging handle was basic which I immediately replaced with a Raptor style CH as the buffer spring is increased power which I expected. I would say overall the machining was clean and appears to be tight tolerances, sorry engineers not popping out the micrometers. Magazines: Magpul mag came with it and no rattling or even wobble (big change from AK) and was the same for all my Magpul mags. However, it did not even seat any of my Tapco mags (x10). I would guess this has to do with PSA’s machining. I do have a few dozen steel mags but not planning to use them since I’m not sure how they wear and tear on aluminum lower. 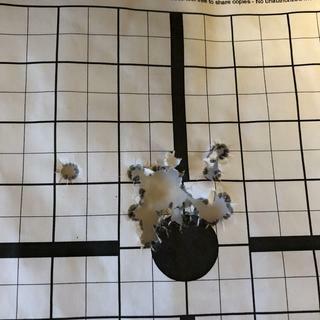 First trip to the range, 250 rounds a Wolf steel 123 FMJ. Vortex 1x4. No issues to report, clean chambering and cycling. Accuracy was better than AK groups since you can attach optics. I was not able to “feel” last round like you can with an AK. Or AR for that matter since AK’s and their mags aren’t designed to do so. Just picked mine up from PSA in Summerville. Put 200 rounds through it with no issues. Put a primary arms 1x cyclops ACSS red dot with UTG magnifier. Got it last week. Added CMMG CV .30 cal Brake, Raptor charging handle and Armaspec AR-10 recoil spring. Liberally lubed with machine gun oil as mentioned it was bone dry. 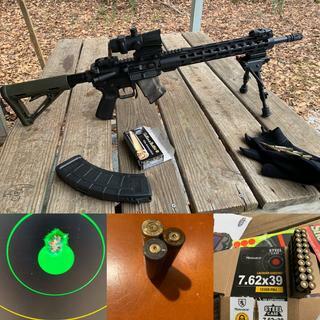 Range report: Wolf steel case ammo, magpul and Russian Bakelite mags with BHO followers. HK 416 sights with diopter rear. 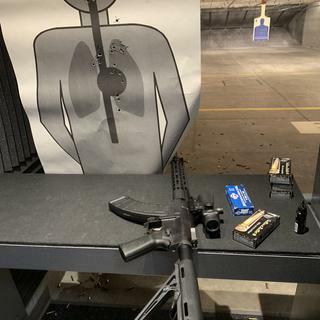 300 rounds no issues whatsoever and accuracy was quite impressive I was indoors with iron sights and groupings were tight. I have several other PSA rifles and I have never had an issue with any of them! The recoil was like .223 with the Armaspec installed! Now waiting for the AK-V to come back in stock!! 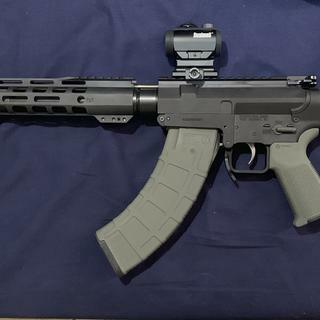 looks great, shoots well, with pmag ak mags. my only complaint is a non blem rifle should haven't big marks all over it. there is one about 3 inches long on the rail. maybe need to check things over better when you get yours.